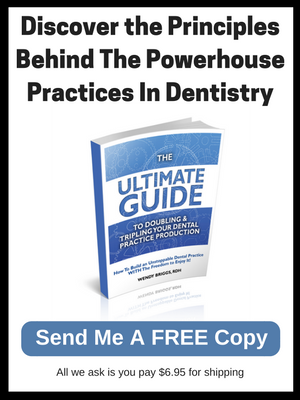 Does Your Dental Practice Have a Capacity Blockage That You Can’t See? Today on the Dr. John Meis show we will be talking about the reality of dental capacity blockage. Practices are capacity blocked and they don’t know it. We find out that 70% of the time practices want new patients but actually need to focus on doing a better job with the patients that they already have. Let’s take a listen to what Dr. John says about this …. Dr. John Meis: Welcome to the Dr. John Meis show. Today we are not going to be talking about the theory of constraints. Nope, we’re going to be talking about the reality of capacity blockages. Dr. John Meis: I’d thought we take a little behind the scenes look at our process for creating these videos. We’ve had a lot of questions about it, and I thought I would just kind of walk through how we do it. So we have a nice little studio set up in our Fountain Hills, Arizona office, and I will collect information from all the experiences, all the practices I’m consulting with, with the practices that I lead. And it’s from that that we draw all the information that we share on this show. Dr. John Meis: So I carry around, I actually have a little form that I carry around with me all the time, and when I see a topic that’s going to be interesting to everybody I map out what the episode looks like. And then every few weeks or so, I’ll sit down and I’ll record multiple episodes in a row. So you may think I only have one shirt. No, that’s ’cause I’ve recorded multiple episodes in a row. Dr. John Meis: And once those are recorded, hand it off to our team, and they do a great job with all the editing and making sure that it’s in the right places so that you have access to it and can watch it and I hope you enjoy it. Dr. John Meis: So we’re going to be talking about capacity today, and where I learned a lot about capacity is the book The Goal, written by Dr. Goldratt. And The Goal is, the book is really about a fictional company, but it’s about how the theory of constraints effected that company. Dr. John Meis: Now, I don’t really like to talk about theory, I leave that really to other people. What I like to talk about is reality, and the things that are really happening and the things that I can see and I can feel and I can touch and I can measure. So I want to live in the real world, not the theoretical world. That’s for somebody else. Dr. John Meis: So, when we talk about capacity, capacity is really, a way to think about it, is the amount of treatment that we can do given our current set of circumstances. So what I see very, very frequently is that practices are capacity blocked and don’t know it. In fact, the number one reason people come to our consulting company, The Team Training Institute, is that they want more new patients, and we do a good job helping them with that. Dr. John Meis: But when we do our analysis, we find that almost 70% of them don’t need more new patients. They simply need to do a better job with the patients they’re already getting, and so the amazing thing is people want to get more new patients, and they’re willing to write checks for it, but it’s not quite that simple, because more practices have a capacity blockage than have a demand problem. Dr. John Meis: So we’re going to walk you through some capacity blockages, and see what these look like. Okay, what this feels like when you’re in the office is the practice that has a really good month, and then the next month is down, and up and down. We call that porpoising, practices that porpoise usually have a capacity blockage. Dr. John Meis: So, another thing I’ll see is we’re just not growing, we’re all working hard, we’re just not growing. And so that’s another capacity blockages. I’ll see practices that lose a team member, it takes a couple of months to replace them. The practice dips, and they don’t connect the dots. It’s hard to connect the dots, and I’ll explain why in a little bit. It’s hard to connect the dots because they didn’t have enough team members, their productive capacity went down. Right? Dr. John Meis: So, the one that people really kind of feel or know there’s capacity blockages, if we have a patient but no room. If we have a patient in a room, we have no assistant, or no hygienist. Those are ones that people can kind of sense. Also, if there’s something missing, like if we don’t have enough x-rays sensors, is a very, very common one. Dr. John Meis: So, those are examples of not having enough capacity, so I’ve got a list of ones that I see commonly. Not enough equipped operatories. So, it’s a very frequent thing in dentistry, that there is one operatory in an office that is not maintained like the rest of them. It’s a room that’s infrequently used. And over time, what happens is all the good stuff or usable stuff gets out of that room and into other rooms, and all the older not as functional equipment ends up in that room. Dr. John Meis: Here’s the thing, is that having an operatory equipped properly is really very inexpensive, and when I say that people give me a funny look. But no, it really is, when you consider the productive capacity of a room. So, lets say it costs 30 grand to get that room into absolute tip top shape. But how much can you produce out of a room? You might be able to produce that out of that room in two or three months. And for the next 20 years that room is paid … it’s already paid for, and everything above that is gravy. Dr. John Meis: So, not having enough equipped rooms is often a problem. I was on a consultation yesterday with a doctor, who built an office … built an office with four ops. And, he’s an ambitious young guy, has a high new patient flow. His rooms are all full from seven in the morning to seven at night. He can’t do anymore. He is blocked because he doesn’t have enough rooms. Dr. John Meis: Another way … place that people are blocked is not having enough team members. Alright, so we’ll talk about the diagnostics of this, but if we don’t have enough assistance, we don’t have the opportunity to add treatment everyday. If we don’t have enough hygienists, our schedule gets booked out farther and farther. Dr. John Meis: And if we don’t have enough administrative team members, there’s a whole series of things. The administrative team members naturally do, when they have enough time, and they save until they have enough time, but if you don’t have enough team members they never have a enough time. So, there’s a certain number of things we’ll share that end up being not done. Not enough doctor, we’re talking to another practice this week, they were … they have six ops, one doctor, and 120 new patients. Well there’s no way that doctor can see and treat all the needs of 120 patients. Dr. John Meis: They are out of doctor. They need another doctor to satisfy the demand. I’ve seen practices without enough computers. And this is a funny one, is nobody’s working recall, why ’cause there’s no place where they can have a phone and they can have a computer at the same place. And so, that makes absolutely no sense, but it’s fairly common. Dr. John Meis: And, also phone lines. I had an office recently that we test called them 10 time over 10 business days during normal business hours, and they didn’t get one of those phone calls. None of them were answered. So, that’s a serious problem. Dr. John Meis: So, capacity blockages are really hard to see when you’re in the practice, because you have blinders on. And the blinders are on for multiple reasons. Number one, if we are to address a capacity blockage, often it requires investment. So, they’re expensive. I just mentioned the 30,000 dollar op. Sometimes it’s moving to a new office. So, sometimes it’s more like a million too. So, having that possible expense certainly puts blinders on people. Makes people want to just get a little bit farther with what they have. Dr. John Meis: Next reason why there are capacity blockages is because it requires … capacity blinders, is often it’s hiring a team member. And that’s a difficult process, it’s a long process. A lot of people think the more team you have the more complexity and the more difficulty you have. Not been my experience, but that’s what a lot of people feel, that’s what their bias is. Dr. John Meis: And then, the other thing with capacity blockages is it requires change. And so, you have to bring your team along to what the solution is for the current capacity blockages. And all those things kinda put the blinders on, and so that we’re just marching right straight forward and we’ll just keep doing what we’re doing trying to get incrementally better. The problem is that incrementally better uses a lot of effort and without a lot of return. Whereas, you fix the capacity blockage you could have rapid improvement with very little effort, and it’s really quite simple. Dr. John Meis: So, lets talk about how you can diagnose if you have a capacity blockage in your office. So, the first one I want to talk about is … it’s a very simple question, is if I’m a new patient when can I get an appointment? Now, when can I get an appointment means I’m not having to move somebody. Right? When can an appointment mean that I can deal with whatever their issue is? So, when is that time? So, that’s question number one, if that question is more than three days, you probably have a capacity blockage. Dr. John Meis: That doesn’t count, this is an appointment time that you’re going to give a patient. Not relying on moving people, not relying on people to cancel or fail. This is like a real appointment. Right? So, how soon can I get an appointment with a doctor for some restorative procedure? Then I ask, when can I get a two hour block? Because a two hour block means you can do significant treatment in that time, and that’s what I want to know. Am I putting it off, all this significant treatment, because I don’t have time to do it? That would be signal a capacity blockages. Dr. John Meis: So a two hour gap, if we don’t have that within seven to 10 days you’re probably capacity blocked. Next one is, when can I get a hygiene appointment? Next question is when can I get a two hour hygiene appointment? Is if you’re doing periodontal therapy. Okay, so the hygiene appointment, if you can’t get somebody in within a week, people leave, right? Dr. John Meis: We don’t understand how much turn over we have in our offices. And, because of that we think people will put up with whatever obstacle we put in front of them. But frankly, they won’t. So, if you can’t get somebody in within a week for cleaning, within two weeks for periodontal therapy, you are capacity blocked. Dr. John Meis: The next thing that I look at is same day dentistry, is your ability to do same day dentistry. And so, practices who have this kind of fairly well done, usually fall in the 30% of their procedures, or their collections for the day, their production for the day actually, is from same day dentistry. Dr. John Meis: Same day dentistry is dentistry that’s not on the appointment book at the beginning of the day, but is fit in through emergencies, through diagnosed treatment coming through hygiene. Previously diagnosed treatment, those kinda things, emergencies. So, same day dentistry, if it’s below 30%, I’m starting to think that there probably is a capacity blockage there. Dr. John Meis: And, next thing I look at is, if it’s a front desk thing here are the things that start to go. The call answer percentage. Now when I talk to practices about this, practices always think that they’re answering all of their calls. You’re not. When I call offices, at least a third of the time, and probably more than that, I am not getting a live person on the phone. And I’m not a person who leaves messages, and you might not be either, and most of the public doesn’t leave messages either. So when you miss ’em, you miss ’em. Dr. John Meis: Next thing, if we don’t have enough front office personnel, we end up not doing a great job on keeping track of AR. How we do on our insurance, AR, and aging. Are we on top of it? Are we getting it cleaned up before 90 days? Great. If not, that’s a sign. Dr. John Meis: Next one is recall, recovery, and reactivation. Do we have somebody working the schedule to make sure that we’ve got today and tomorrow filled? And if we don’t do that, if they’re too busy to worry about today and tomorrow’s schedule, you may have a capacity blockage. Dr. John Meis: Third party financing is a absolutely fantastic measure. If the team doesn’t have time, this is one of the things that they will drop. They’ll say, “Hey, patient, take this home, take this form home, fill it out, and then give us call when you’re ready to move forward with treatment.” That’s not a formula for success. Right? A formula for success is let’s take care of it right now, we’ll get everything buttoned up, we’ll get the finances done, we’ll get the appointments scheduled. That’s when you have enough capacity there. Dr. John Meis: And the last one is case acceptance, and I talked a little bit about that. If you can get it all bundled up in that day and get them on the book, money’s taken care of, now we’re in a good place for case acceptance. Dr. John Meis: So, if you have any of these problems, can you see how where you have the blockage really lets you know where the fix is? So, if you have patients who want treatment, you have time to do treatment, but you don’t have a room to do the treatment in, you’re short of rooms. If you have time to do the treatment, you have patients who need the treatment, and you don’t have an assistant, that’s a problem. If you have patients who want hygiene and they can’t get an appointment for three weeks, you’ve got a problem. Dr. John Meis: So, that’s how you diagnose it, and then you simply fill in the piece that’s missing. And this is so very, very simple, and can be fixed so quickly, yet it’s such a stumbling block for so many doctors. 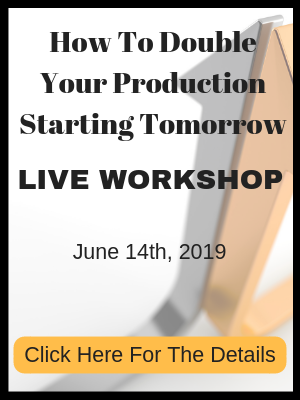 So identify where your capacity blockage is, and feed in the whatever piece it is that you’re missing, and you will watch productivity rise dramatically. Profitability will rise as well. Dr. John Meis: So I wanted to let you know that I have a free gift for you. 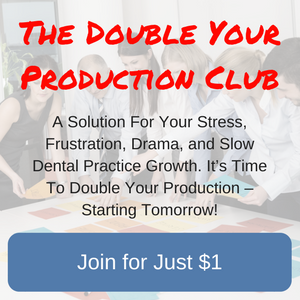 The free gift is my number one Amazon bestselling book, The Ultimate Guide to Doubling or Tripling Your Practice Production. And you can get that by going to the website on the bottom of the screen, and we’ll provide that book for you free. All you gotta do is pay the postage and we’ll send it to you. And I think you’ll enjoy it a lot. Dr. John Meis: Also, remember to leave your comments and questions on this video so that we have an opportunity to create a dialogue, and when there’s questions, we’ll be answering those on future shows. Dr. John Meis: Alright, so I’m going to end with a quote here, “Possibility first, constraints later.” So, if you want to look at a bigger future for your practice, identify what that bigger future is, then identify what the constraints are, and solve ’em, one by one. Pick the one that’s the most pressing, fix that, and you’ll see your practice jump. Dr. John Meis: Alright, that’s it. We’ll see you on the next show, and I look forward to seeing you there.